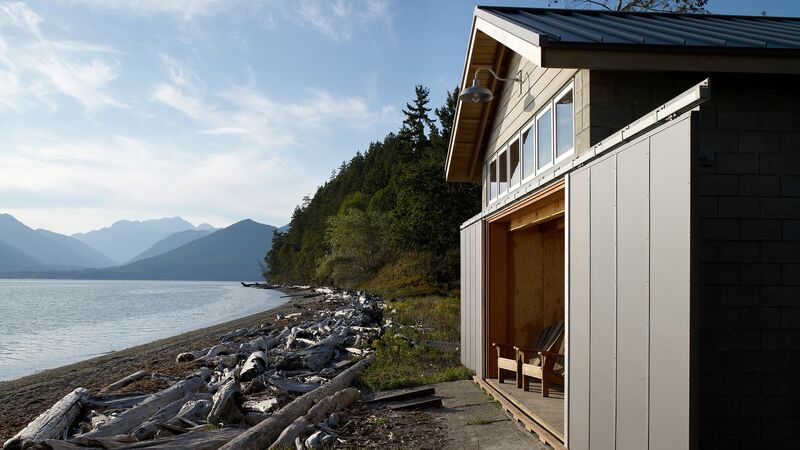 Nestled on the edge of a charming fjord in the US and overlooking a picturesque landscape that takes you away from the constant rush of concrete jungles, the Hood Canal Boat House is one of those amazing, idyllic escapes that most of us dream about! 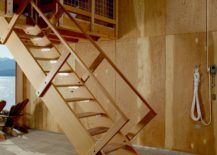 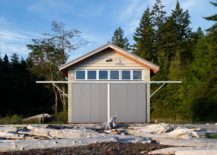 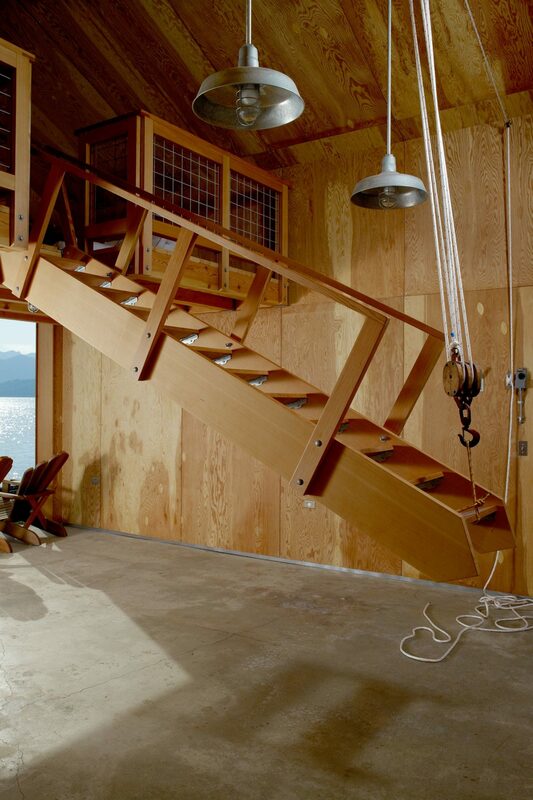 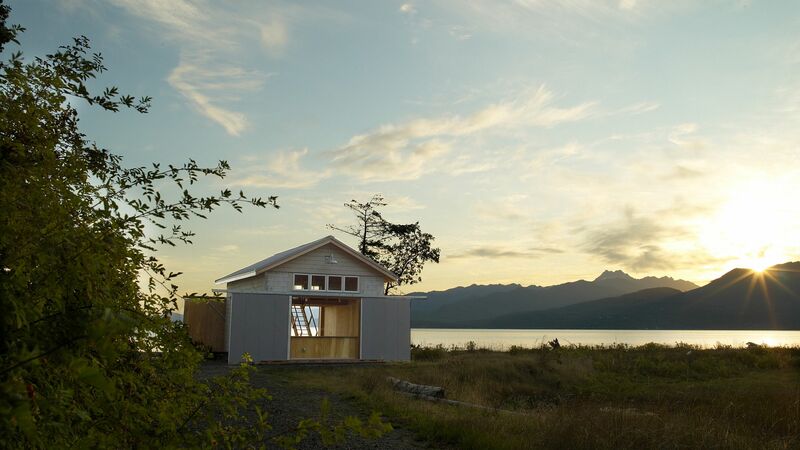 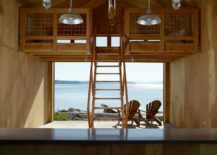 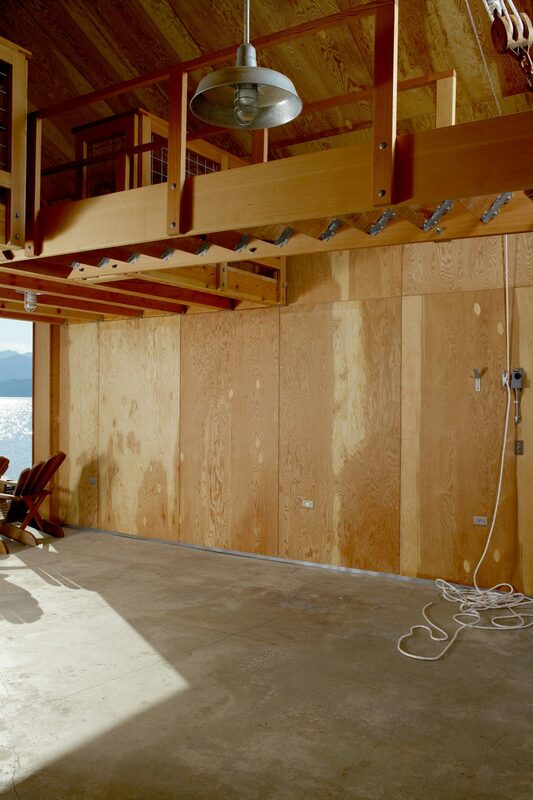 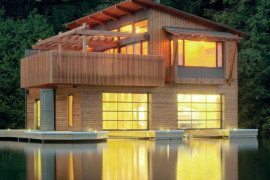 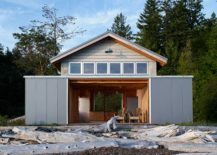 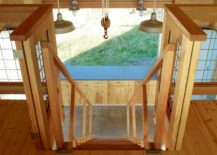 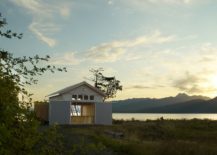 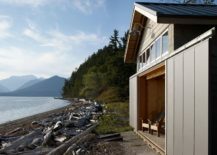 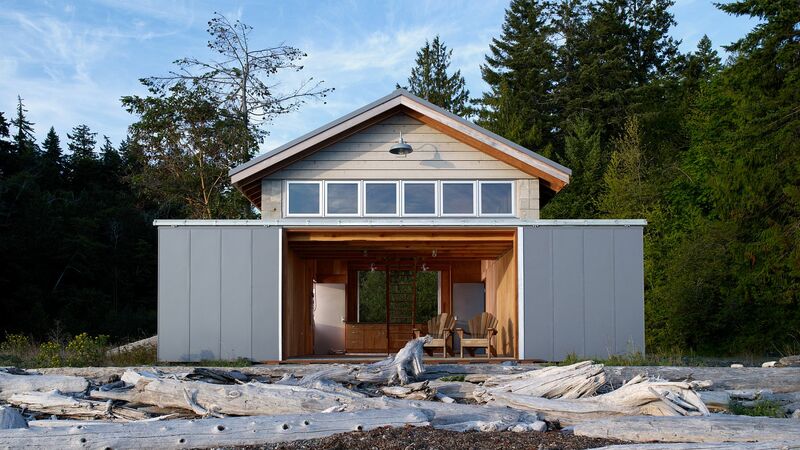 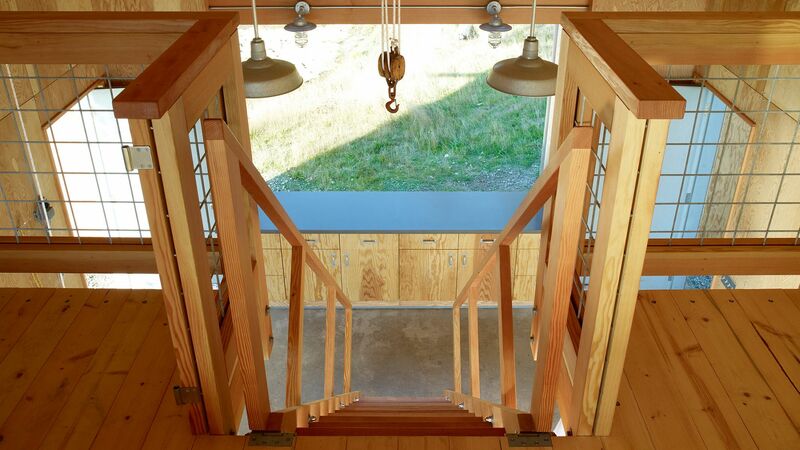 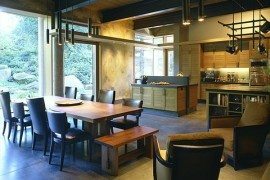 Designed by Hoedemaker Pfeiffer and sitting on the wonderful banks of Hood Canal, this revamped boathouse combines modernity with durability and efficiency to make most of the limited square footage on the inside. 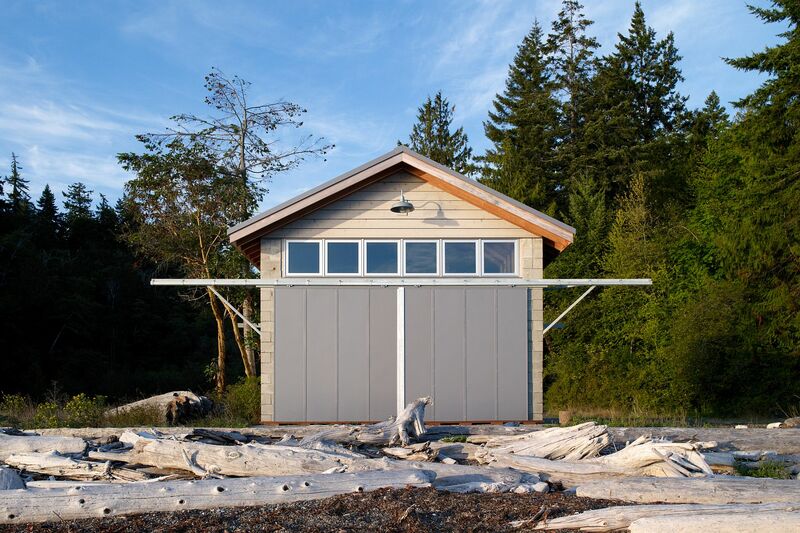 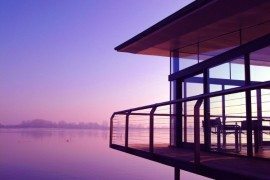 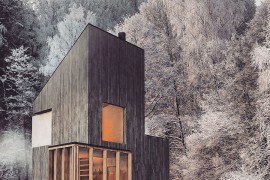 With a concrete and steel structure, the exterior of the boathouse is designed to withstand the wear and tear of the harsh winters in the region. 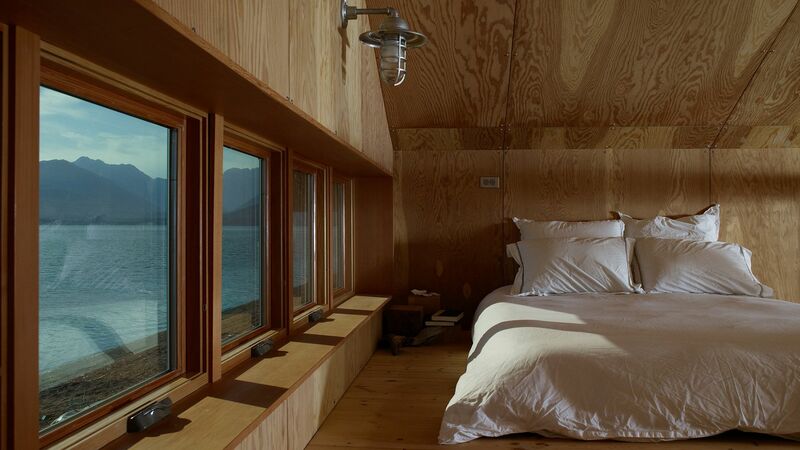 It is on the inside that cozy elegance of wood takes over. 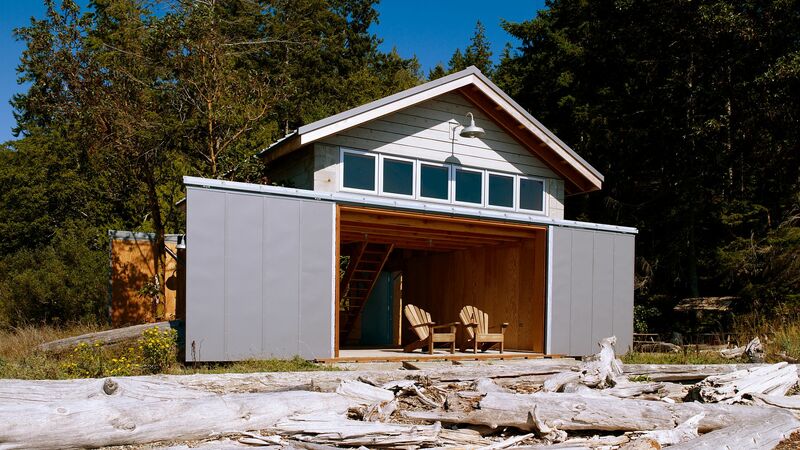 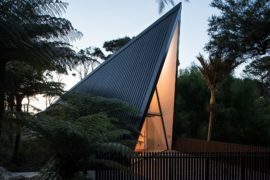 As its name suggests, the space is used for storing a boat in the rough winter months while it is transformed into a cool hangout and a tidy little vacation home during the pleasant summer months. 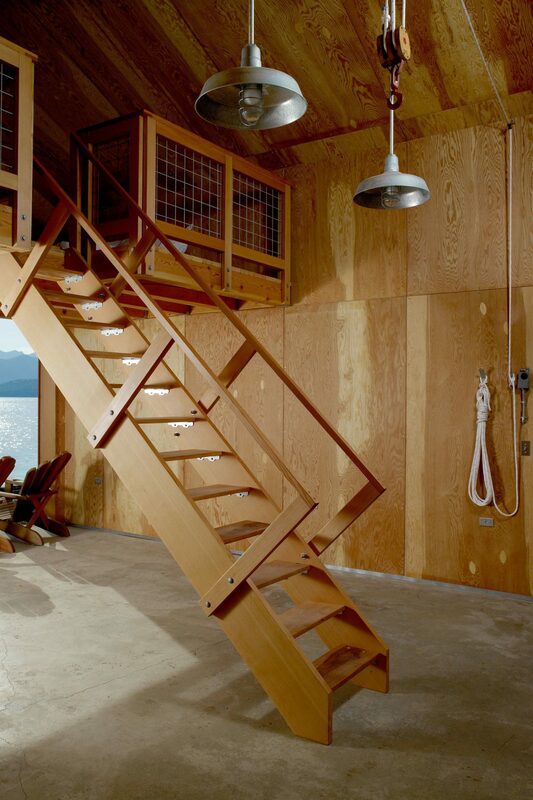 A retractable ladder leads the way to an attic bedroom that also offers wonderful views of the landscape outside. 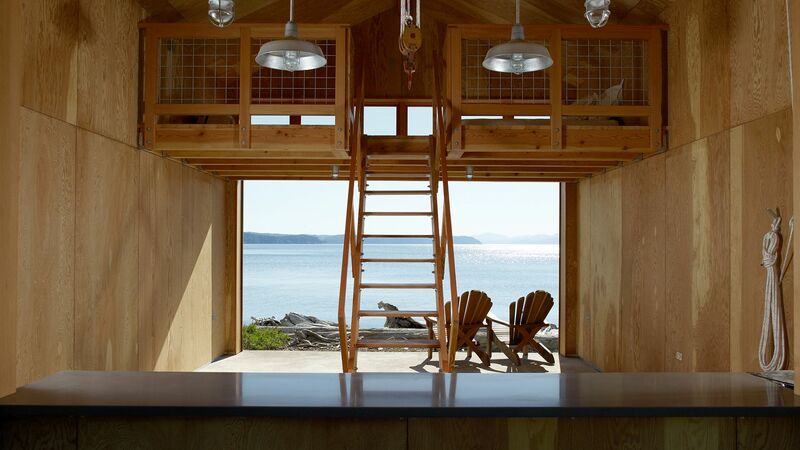 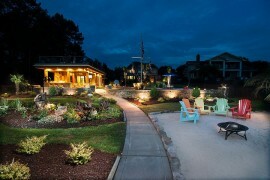 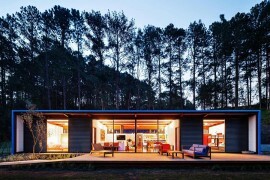 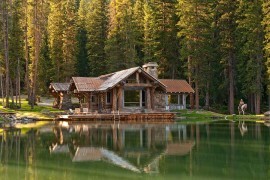 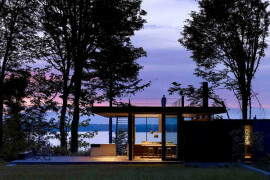 Décor is obviously minimal and large sliding doors roll open to reveal the boathouse.